Playing the Fool (again). This picture sent in by my good friend Gloria, taken at the show last week during a slow part of the afternoon, proving that I do have the smallest head around. Maybe I should do something like this for Halloween. As you potter/farmers know, you have to plant in the Spring to harvest in the Fall. In lieu of showing work that would be happening in the atelier, since there isn't any, here is another in the ongoing documentary of the domestic scene here at the "Biltless" estate. I just emptied the dishwasher and took notice of the lineup of dishes and it was a particularly pleasing sight with that certain "je ne sais quoi". 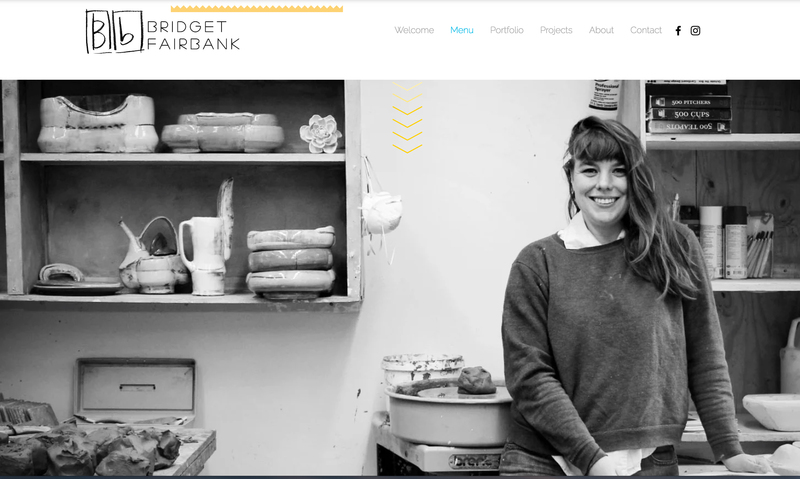 For those of you who may be stumbling upon this blog by some sort of random google search, this is actually some very serious business for a potter. Think of it as the Nielson ratings for dishes. I won't mention any names but there is a pecking order. If you've ever been on the bottom of a human pyramid you know what those sad bowls and plates at the bottom of the stack are feeling now. I had a nice time chatting with Phil Wingard at the Catawba Valley Show last Saturday. 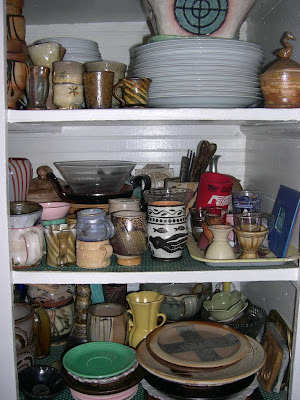 Phil knows a lot about the history of South Carolina stoneware. 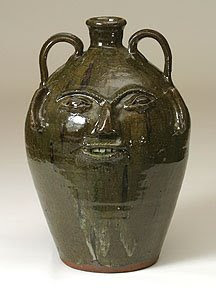 He is mentioned in the wonderful book about the SC pottery tradition, Great and Noble Jar, by Cinda K. Baldwin . 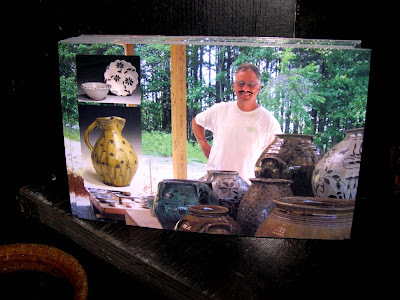 I wanted to introduce Phil and his fantastic web site Red Clay Gallery to you. 'Take Five' and check out the videos and the pots, you'll be glad you did. On this weeks Theme Time Radio Hour-Heat. 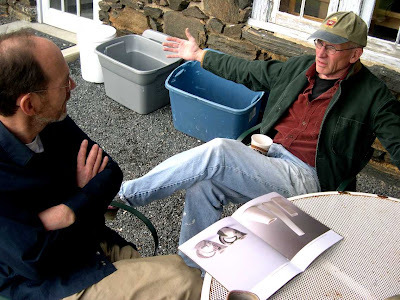 Sam Taylor and I met at Penland in 1989 as budding potters at a Michael Simon workshop. We have been the best of friends ever since. I could write a book about Sam but since I need to put another coat of paint on the new shop floor before dark I better not. Maybe later. 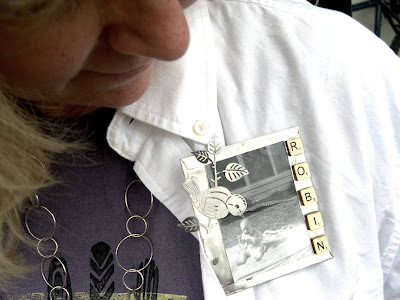 Anyway Sam's old classmate from Beloit College, 'Charm City' photographer , Howard Korn, has put together a fantastic slide show documenting Sam's firings and the community that convene by the kiln. The firings are like a great big huddle of friends, potters, kids, all coming together to be close to the kiln and to the pots that Sam has made. I hope you get a chance to check it out, it's very good. Tom Turner and I got together and solved the worlds problems over lunch, yesterday. 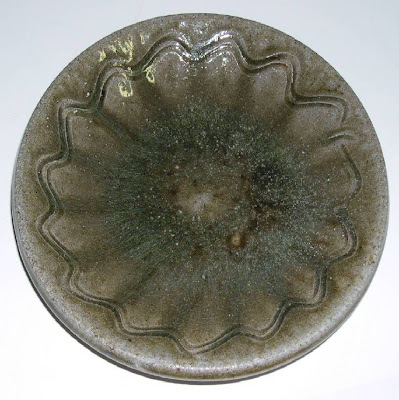 Tom mentioned this pot on ebay that he was sure was from China, but the seller is claiming it was Catawba Valley: alkaline glaze, from the 1800's. Hmmm. See for yourself, here [link no longer available]. 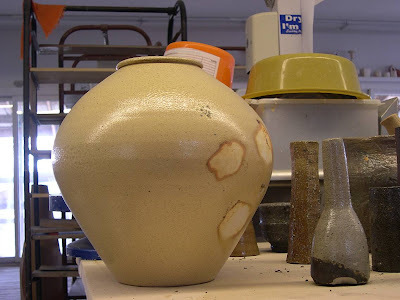 (Let us know what you think about this pot.) I had a similar feeling for some of the work I saw at the Hickory show last weekend. 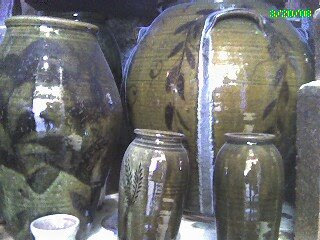 Were the pots being sold by the vendors old, authentic, or any good. Were the pots being sold by the potters any good? 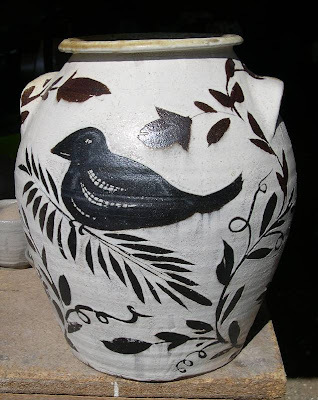 Since the vendors hadn't made the pots they were selling, I looked at their collection for a clue into their aesthetics. 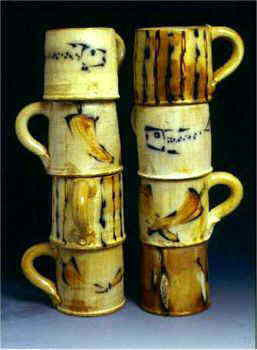 I had never sold my pottery among potters and antique dealers, and I found it to be very refreshing. This market mix of potters and vendors pushed my eyes to look a little harder, challenging my perceptions about the pots I held up as ideal. 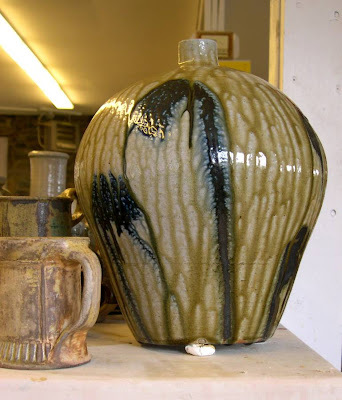 I was surprised to pick up a beautiful one gallon jar with a beautiful glaze and nice "loose" throwing style, to find it to be really heavy. It's survival through these years due, no doubt, to it solidity. 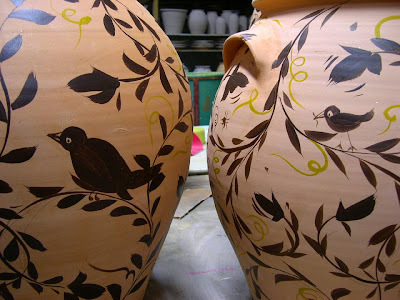 I tend to idealize the old pots and the old ways. There is something to be said of appropriate weight, but this one was a door stop, or to put it another way it seemed to be already filled with something. 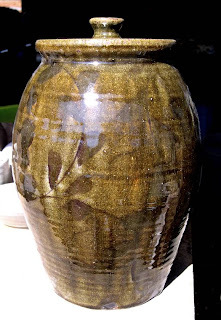 It is basically a question that I ask as a potter looking at a pot, trying not to get too involved with the back story or history, but looking at the pot for what it is, form, color, etc. 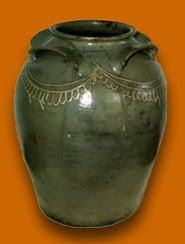 Then you have eBay...I thought it was hard to assess a pot in a museum case. 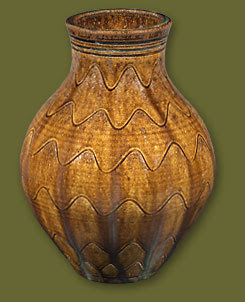 Looking at pots on the computer is another way of seeing, but certainly not ideal So, buyer, beware...be ware? Here are the plates that I had posted a while back. This time with glaze! 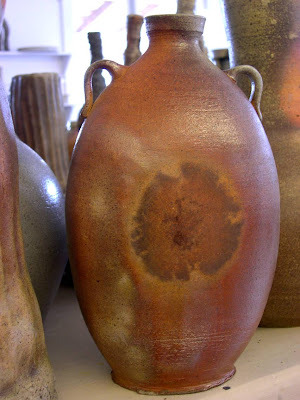 The same glaze! 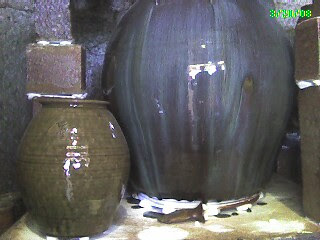 The bottom one had a lot more ash from the front of the kiln deposited. Maybe a bit more reduction too. Yesterday I posted the card with moustache by Geci. 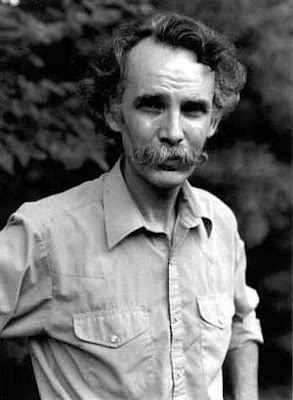 It reminded me of a real moustache, that of folklorist, Dr. Henry Glassie. Dr. Glassie spoke so eloquently at the Pottery Festival in Hickory last Saturday. It is the third time I have had the pleasure of hearing him speak. 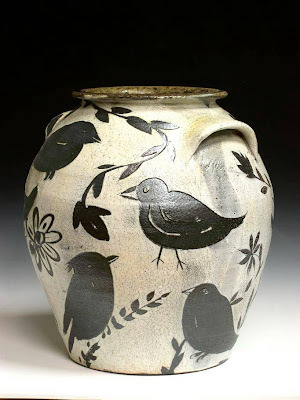 The first was at the Utilitarian Clay Conference at Arrowmont in '95(? 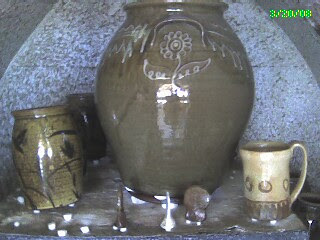 ), then at the NC Pottery Center in '01(?) when he came with Mehmet Gursoy and other Turkish masters. 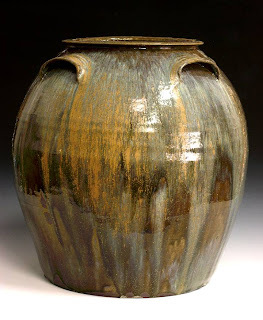 His talk was titled, " Use and Beauty: The Art of the Southern Pot" and he drew the listeners attention to the potters work, the quest for beauty in their finished pots, with wonderful images of runny fluid ash glazes and emphasized the utility that these pots provide. 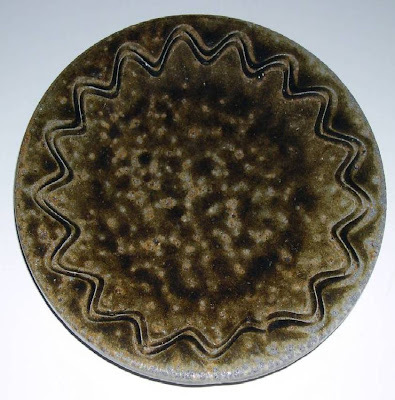 Dr. Glassie 'preached' the gospel of the southern pot and spoke often of the spiritual nature of the potter's work and his quest "to please God"and to make something of utilitarian value and visual beauty. I tried to record Dr. Glassie's lecture, but had microphone issues and didn't get it. But I have found this conversation Dr. Glassie had with with Eric Sandweiss, associate professor of history at IUB and the editor of the Indiana Magazine of History. It will give you a sense of the intellect and the poetry of Henry Glassie. 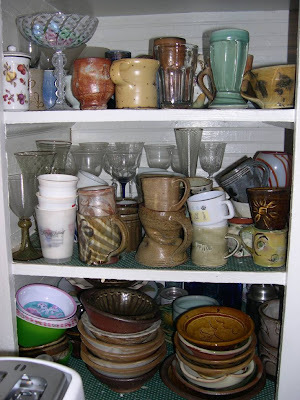 A nice group of cups that remind me of my love of the small pot. There is an intimacy we have with cups of this scale that we can't have with larger pots that are more athletic in their purpose. 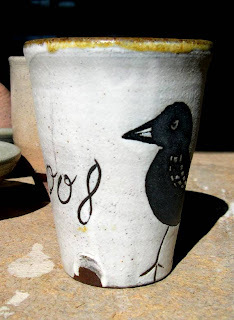 These small cups are made to hold gently but firmly like a bird in the hand. The cup on the left took a bad hit to the lip and I secretly grinned, knowing to myself that I could selfishly sneak this one into our cabinet. 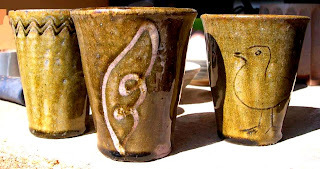 The cup in the middle has a remnant of a Edgefield slip trail motif. 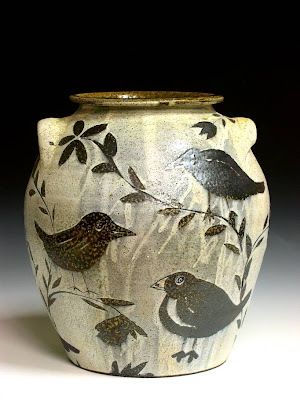 The bird on the right has Little Orphan Annie eyes and was snatched up by potter Hewitt at the show last weekend. I thought it looked like a sea gull, Mark thought it looked like a seagle! Ha. One of my painting warm-up cups. This bird is particularly curious about the number 8. Perhaps it thinks it's a juicy black worm of the wax resist variety. she contributed to "xxvi" this is the pot she wanted. It is a sweet cup and it is a testimony to small is beautiful. jar that sports the flat bottomed lid, i learned from Kim Ellington. as the eye surveys around the pot. 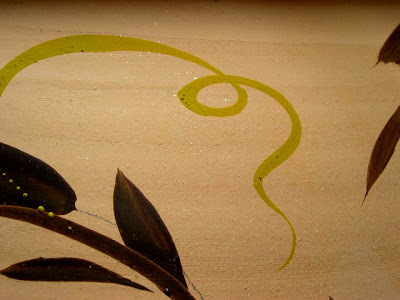 A one gallon jar with wax resist brushwork. 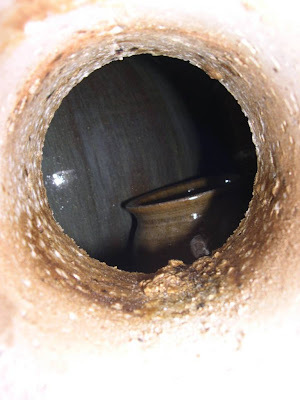 of the kiln, near the exit flues of the chimney. Moustache?? ?A show prank, of the highest order or lowest...John Geci, while awol from his partner Courtney Martin's booth did this to countless numbers of my postcards at the show last Saturday. It was such a elaborate scheme that I didn't see it coming or going(all the cards that i dashed into customers bags). I listen to a lot of music in the shop, either through the ipod, podcasts, or CD's and I have been listening to Bob Dylan's "Theme Time Radio Hour" religiously since it went on air and Dan Finnegan gave me a CD of the first 6 shows. It airs on XM satellite radio with a new 'theme' each week. During the recent session in the studio were two episodes on the subject of "Birds". Hmm. Maybe that's why I have been painting these critters? If Bob dedicates two shows to a theme there must be a lot of great material that he has to share from his record stash and there was. Well, I don't have XM satellite, but am able to download the shows at Patrick Crosley's blog, 'Nightime in the Big City' here and here. 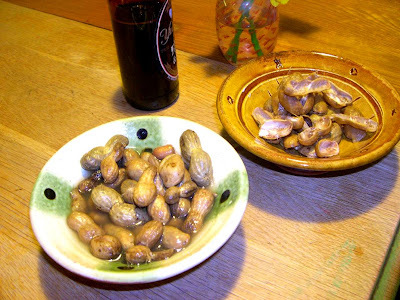 If you like a 'soup to nuts' mix of country, old timey, jump blues, pop, etc. you will like these shows. Along with the music, Bob's research team supply all the esoteric tidbits related to the theme that you could ever want, and Bob's sharp wit and humor never fail to bust a gut. Check it out if you haven't already. Cheers. 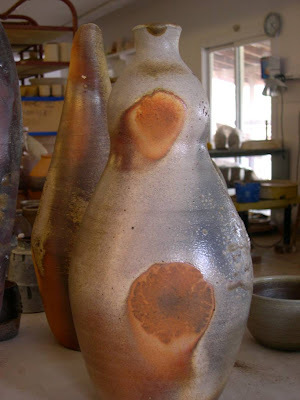 Here are a couple of pots from the firing xxvi. 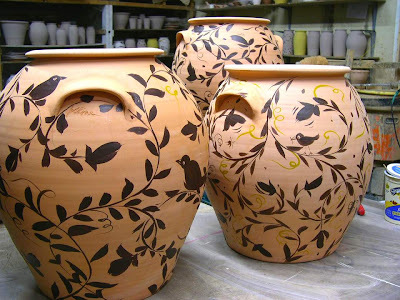 The figurative motif has always been intimidating, but I have felt for a long time that my floral landscapes on my pots needed some fauna. 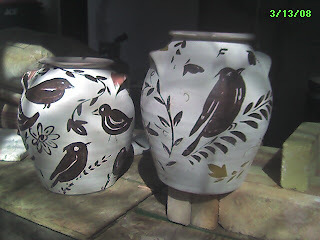 I have cartooned little bugs and such but all of a sudden I am getting the guts to put some birds on these pots. It's really not as scary as I thought. It's actually a lot of fun. Do you hav a favorite bird? 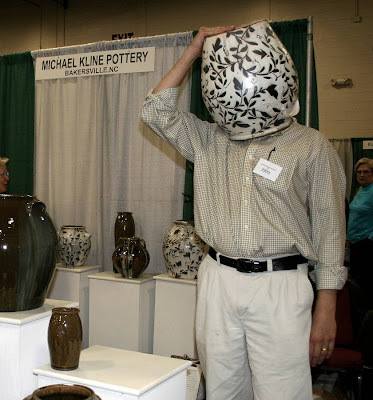 We had a great time at the Catawba Valley Pottery Festival Saturday. 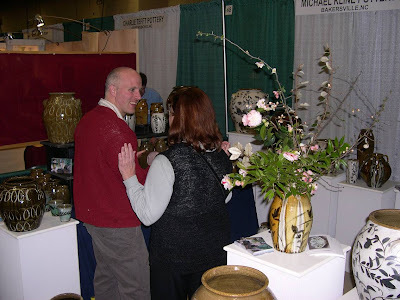 Here is a picture of Michael Hunt and Ellen Denker looking at some of my pottery. I think I have never seen so many face jugs under one roof, maybe there were more face jugs than faces on Saturday. After all, it was a fabulous day outside the Hickory Convention Center. 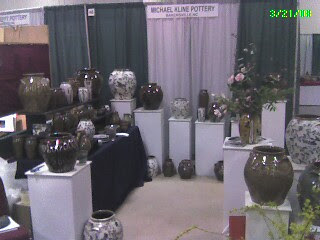 I met some great potters, pottery dealers, and saw some nice old pots. As the phrase goes, Waiting to see, but I sent my camera into the abyss Cousteau-style teathered to send images up to the mothership. According to the Nikon manual says that the camera is rated for no more than 120*F we thought it would be worth it to get the images you and I yearn for. The pyrometer says 201*F but sometimes they can be off. Anyway we figured that one last go of this 4 mega pixel dinosaur would give it hero status among the 30 mega pixel crowd and we may have to replace it since it's 5 years old and probably should be "put down" anyway. Enough about our hero, let's get on with the images it dredged from the heat, shall we? 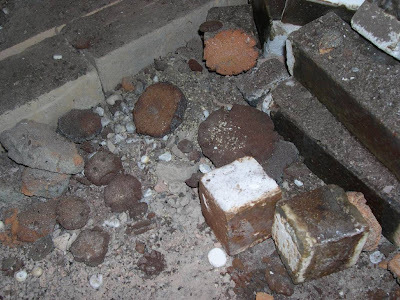 Our first picture is from the top front of the kiln showing how cone 10(erect middle cone) was reluctant to perform for us there in the end. No matter the glazes are all fine and salt is fine on the big jar. The even more erect cone is 11, cone 10's evil cousin here at the pottery. They sometimes travel together in this kiln and can make things messy, but oh so juicy. There will be plenty to grind from the abyss near the firebox. More about that tomorrow, when we unload in earnest. All right, now let's go to some peep holes, Here we see the top back of the kiln where , no surprise, we have almost identical temperature. In the foggy distance is a big jar with a slip trailed 'Edgefield' flower. Slightly below the top of the back of the kiln is this fine view. With some success with the flash, our hero the Nikon 4300 came through for us and gave me just enough information that will give me the hope I need to go on. 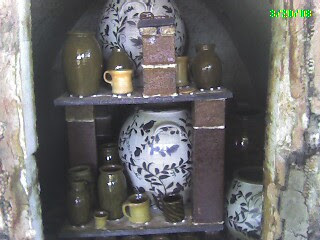 I will take more bricks off the kiln later tonight although the forecast is calling for high winds. I will "wait and see". 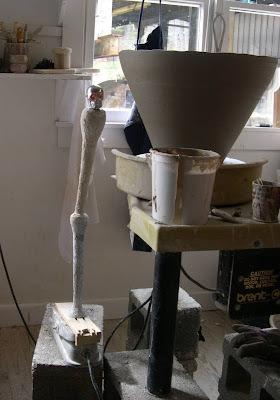 My friend and fellow potter Alex Matisse has taken the blogger's plunge with his "Notes From An Apprenticeship". 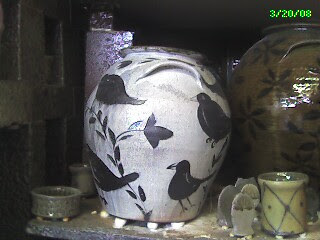 Alex works for NC potter Matt Jones now and is making some fine pots of his own as well. 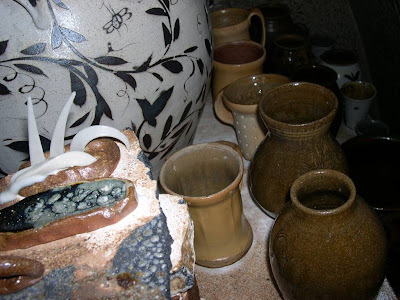 I hope you will join me in reading his posts about his apprenticeship with Matt at the Jones Pottery. 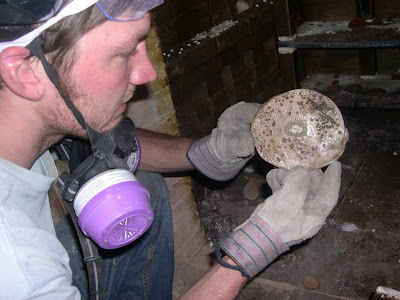 Here is a picture of Alex tending to my kiln last weekend, waiting to stoke as I check the cones. I hope if you are within a couple hours drive you will come to the festival this Saturday, March 22nd. 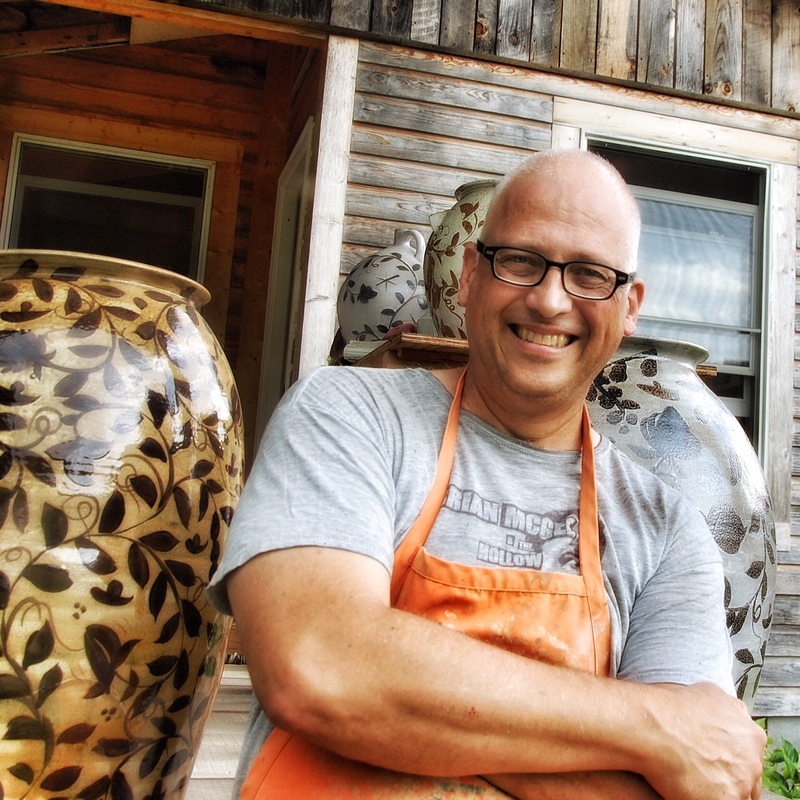 There will be many of the region's best pottery there to see and purchase. 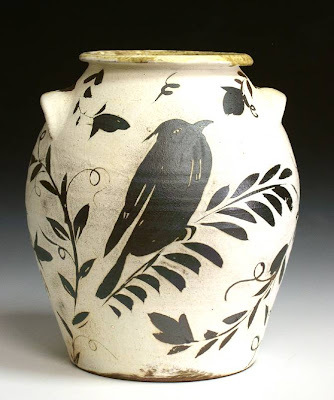 Not only can you see contemporary pottery, but also several of the best dealers of the old pots as well. This will be my first time doing the show, so I'm looking forward to meeting some new folks and introducing them to my work. Here is a link to the show ad. Kim Ellington will be there, too. Here is a nice piece from his web site. 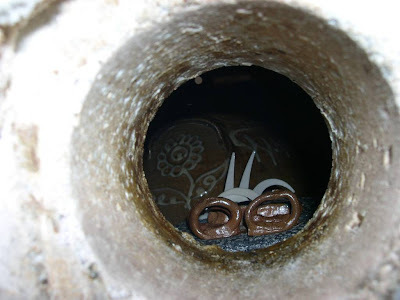 sit and wait to peek into the kiln. 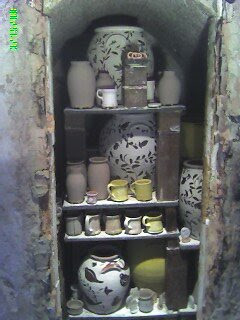 (tonight I hope) I cooled the kiln quickly and it was at 400*F this morning. Maybe I can figure out a way to get a picture while peeking throught the spy hole. We'll see. 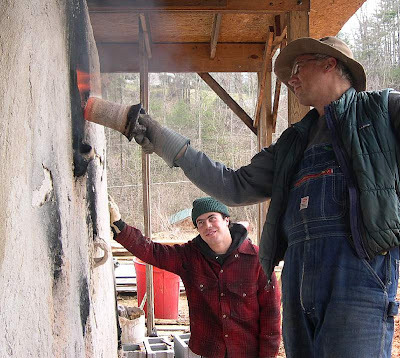 Here we (NY potter Julie Simms and I) are stoking wood and putting salt into the kiln earlier today. We finished right in time and enjoyed Gloria's most delicious Spaghetti and Meatballs and some cold brews. I'm humbled by everyone's hard work today and hope I can someday return the favor. Now the waiting begins and in a day or so I'll get the flashlight out for a peek or two. We'll unload the kiln on Thursday. So now I can relax and take a couple of days off to rejoin my patient family who are getting used to my potters life. 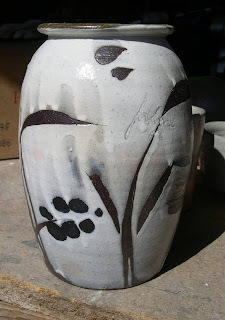 Next weekend I go to the Catawba Valley Pottery Show with what awaits in the kiln. More on Thursday. Thanks for checking in. David Stuempfle and his class from the Penland School just came by with marshmallows and many hands. 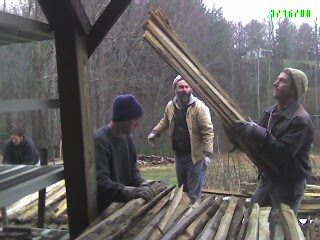 They pitched in to move a big pile of wood closer to the kiln. Thank You, Thank You, Thank You! The kiln is at 2000 degrees and seems to want to take off. 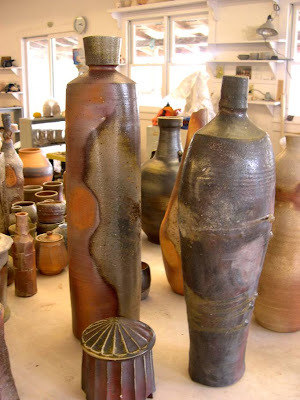 Alex Matisse is here from Matt Jones Pottery to help stoke. I've been relieved by Alan White, Gloria, and Julie. I've been firing overnight, and have reached 1475*F and we are holding it there for about an hour. The kiln tends to race at this point so we slow things down for a bit and let the heat soak in. We're hoping to finish at 6pm. That's it for now. FIRING no. XXVI is loaded. Thanks to the loading team of Julie Sims & Gloria Kosco. We'll light it at midnight. Thanks to Gloria Kosco for the happy balloon! I use a balloon to keep slip from going inside the jar when I pour it over the wax resist pattern. I wax the bottom of the jar before I pour to keep the cleanup to a minimum. 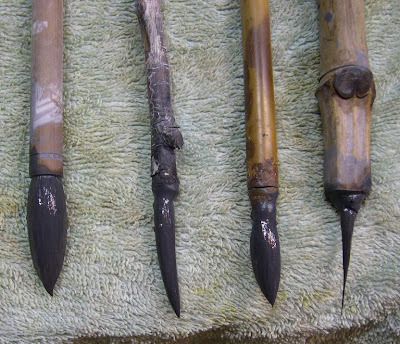 Here is a link to an archived post from December on the brushes, affectionately known as the "axes". And more bisque, of course! One thing came to mind when I was painting tonight, that the brushes I use are important but not that special. What I mean is that for the most part they are inexpensive Chinese bristle and for the price of a tank a gas these days I could get enough brushes to last me a couple of years. Here are some brushes I used today. The second and fourth from the left I made myself. Liz Sparks showed me how to make brushes. Another point is that what I do with the brush is more important. It's the wrist action, the angle of the pot to the hand/brush, the point where the brush touches down, and the direction that the brush is pushed or pulled that gives brushwork its vitality or lack of. With the brush stroke, as in the repetition of throwing on the wheel, there is always the hope that the next one will be better than the previous. Skill is very important to me. Someone commented how easy the painting looked to do in the video. If you do anything for 20 years you will get either bored or better. When one is engaged and enthralled with learning he/she becomes skillful. When one is bored its time to move in the direction of interest whatever that may be. "Follow your joy" is what I advise a student when I am asked what they should do next. Anyway, here are some pictures from today's work/play. The first is what I would call a good riff. 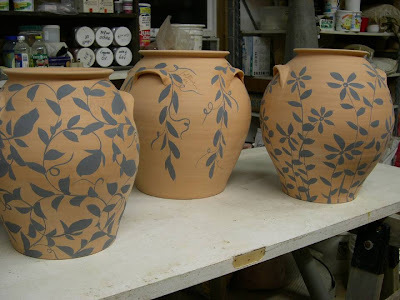 The second is a group of jars that are ready to glaze.